This spring I realized that the march of time is no longer abstract. It’s not measured in books I’ve read or places I’ve seen. Not a long mental list of experiences to collect. My future isn’t a fuzzy hopeful cloud. It now surrounds me each day. Having children has made the march of time palpable in my chest. It is marked in piles of outgrown clothes in my basement and lonely yellowed toys in my yard. It is marked in new teachers, book reports and science projects. We note our springs by which baseball coach ruled our schedules and what team names we shouted with friends as we sat in the sun. Magnets of boys in uniforms holding bats in different positions fill up our fridge. The boys remain the same but they sport long or short hair, missing or filled in teeth, and pudgy or elongated cheeks. Our history has slowly filled with people we have outgrown. Friends who were once close that we now only run into at the grocery store. We remark that they have moved from tiny blinking shoes to braces with neon bands that jump out from their smiles. We mark time in places we used to live, parks we played at and schools we attended. A family expands. Those are the exhausting years. Years when it feels like every ounce of your energy is spent investing in that expansion. That time is a time of reigning in chaos and trying to harness the uncontrollable. But now I see that a family also contracts. The kids will move on, the rooms will empty. The toy storage will return to bookcases. The chaos will melt into quiet. Those are the years that seem closer to me now than the years of putting together a nursery, assembling cribs and changing diapers. But the actual days themselves have an exasperating habit of marching forward with complete disregard to my thoughts or needs. Time is not concerned with what I may or may not be ready for. I have seen the way that its insistence can feel cold and hard. 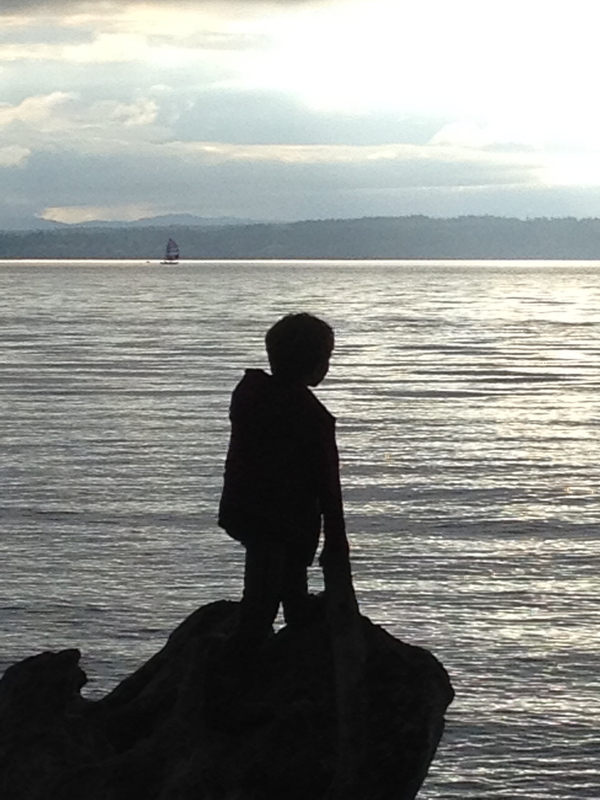 A friend’s last days with her son were the exact same length as those days that she didn’t even realize were fleeting. Days when his lungs danced and his legs ran and his arms were fluid like rivers. How dare those days not give her some hint of their remarkable beauty? Could they not have stretched themselves even a tiny bit to let her memorize them? And how dare they have the gall to keep going on as long as always now that he his no longer here. How dare time refuse to bend to our will? The only power we have is to stop. We can give ourselves the gift of realizing that we are in the middle of a bridge. Do not take that for granted. Do not go by eyes shut just waiting out the next big moment. Inhale the beauty of this day and this time. I try to stay calm and perhaps even enjoy working on that book report that has my son so frustrated. I am quiet as I watch the ribbon of play, disagreement and compromise that my sons continually unspool. I smirk as I try to keep up with the laundry and fold this year’s baseball uniforms over and over. Because I now see that someday they will be crumpled and forgotten in the back of a drawer. But today is here. It is spring and there are two boys who need attention. We lay out our blanket and sit in the sun. We pop our umbrella and huddle on a bench. We have one more season. One more year. A coach shouts, “Play ball!” And they do. This entry was posted in Joy, Love, Parenting, Small Moment, Time and tagged Baseball, Love, Parenting, Sports, Time. Bookmark the permalink. 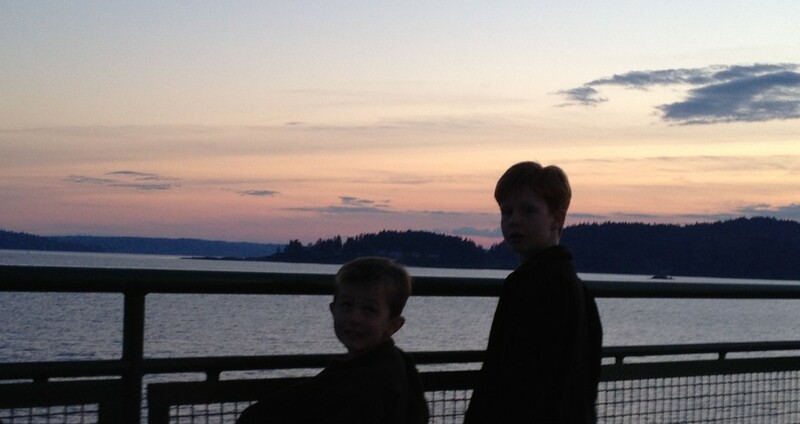 Dear Mom of Two Boys: Such good writing! Love your perspective and I can see you growing in wisdom with each writing! Take good care and enjoy all the games and practices and snacks, etc. I would love to go back and revisit a few games of my sons. Such wonderful memories! Hi Marian – thank you! Happy almost summer. I am sitting in the tuscan sunshine as my kids are fighting over their ‘vacation’ cereal (max sugar and chocolate) – your thoughts have made the morning ‘discussion’ (you got more!) something to treasure ☺! I love your descriptive, heartfelt writing. Thank you. Hi Deb! Thanks for the sweet words. Love to you & yours! How dare they. I agree. Yes. You guys are in my heart – as always.